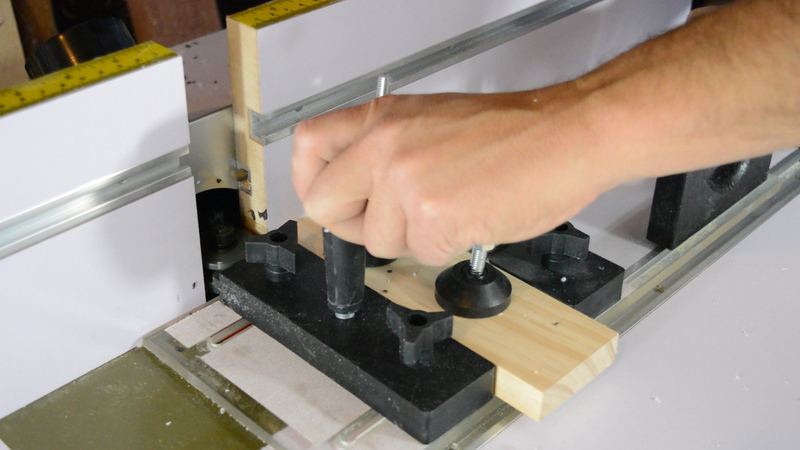 Build your own raised panel doors with our 3 Piece Shaker Raised Panel Door Router Bit Set. Check out our Raised Panel Project Calculator for an easy way to determine the sizes of your door parts. 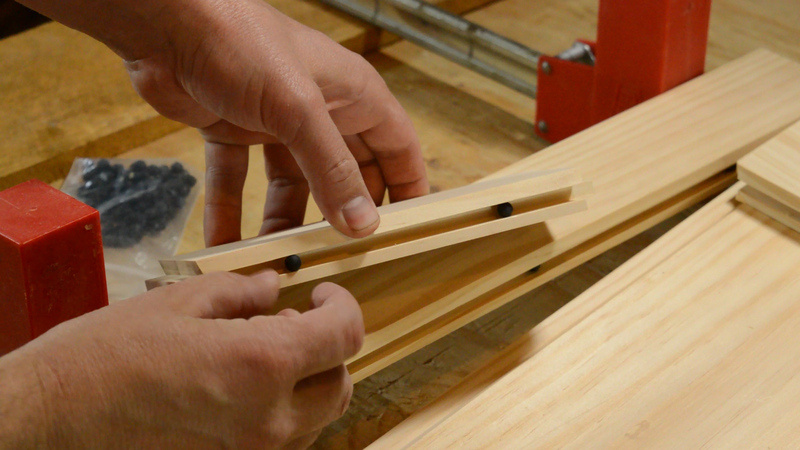 First, make sure both the coping and profile bits are set for the same tenon thickness. *Note: You may have to add or remove shims from the coping bit. 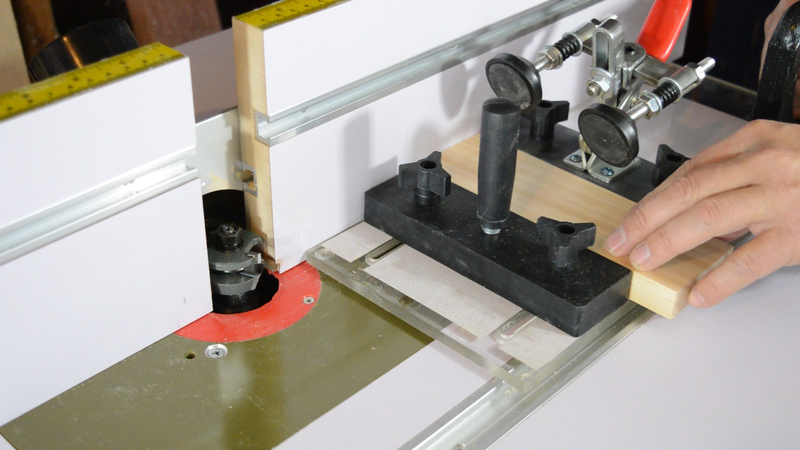 Install the coping bit in your router table and use the setup block to adjust the height. *Note: You can make the profile cut first. 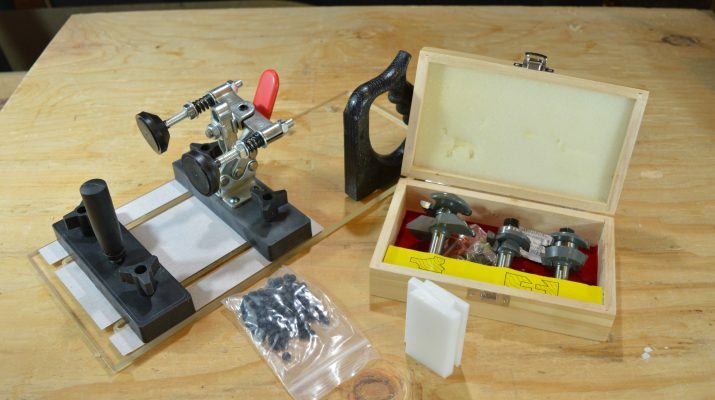 However, you’ll end up with tear out on one end of all of your rails. You’ll see how that works in a moment. Place the block on top of the coping sled and match the bit to the block. Then set the fence flush with the router bit’s bearing. 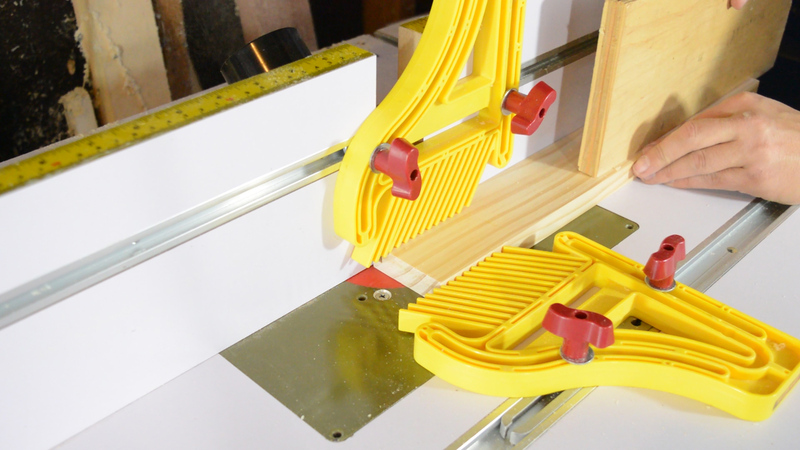 Now, place the coping sled against the router fence and clamp one of the rails in the jig face down. *Note: The rail should be sandwiched between the front and rear stop blocks. Turn the router on and make the coping cut. *Note: You’ll route through the stop blocks, but don’t worry; they’re replaceable. Release the clamp and flip the rail to cope the other end. *Note: Make sure to keep the part face down. After you’ve coped both ends of your rails, replace the coping bit with the profile bit. 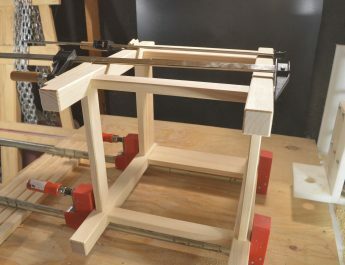 Place one of the rails you just routed on the router table to help you set the bit height. Set the fence flush with the bit’s bearing just as you did with the coping bit. 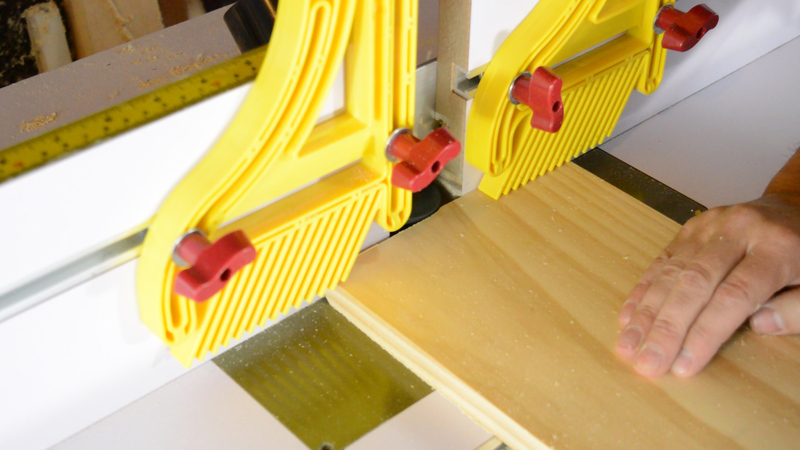 *Note: To keep the stock pressed safely against the fence and router table, install a pair of feather boards. Route the profile into your stiles and rails with the stock face down. 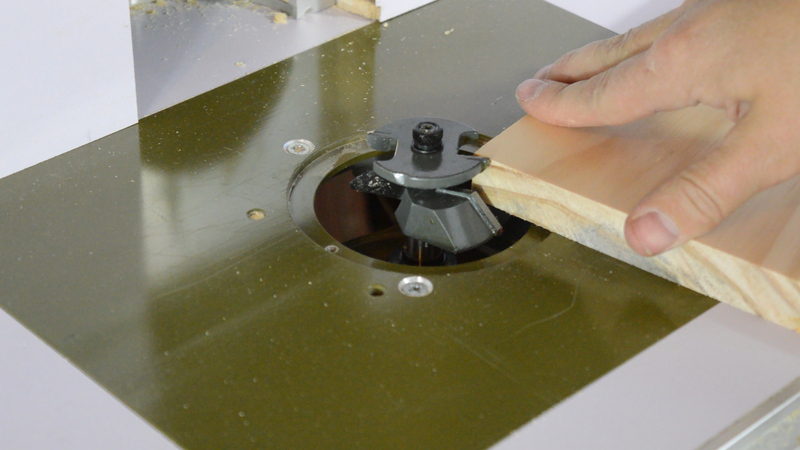 Your frame is done, so remove the profile cutter from the router and install the panel raising bit. *Note: If your panel is the same thickness as your stile and rail stock, you may want to set the bit height so that the panel ends up centered in the door. 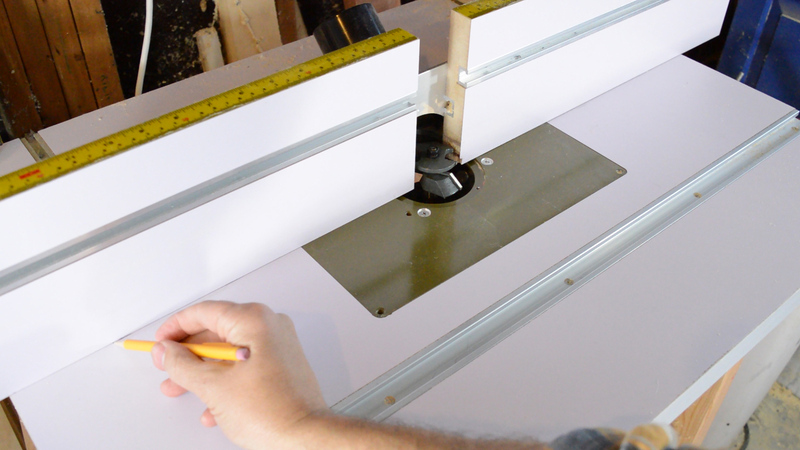 In addition to the raised profile in the front face of the panel, you’ll cut a small profile into the back face. And end up with a “tenon” that will fit into the grooves in the stiles and rails. By centering the panel in the door’s thickness, the front and back faces of the panel will be flush with the faces of the rails and stiles. 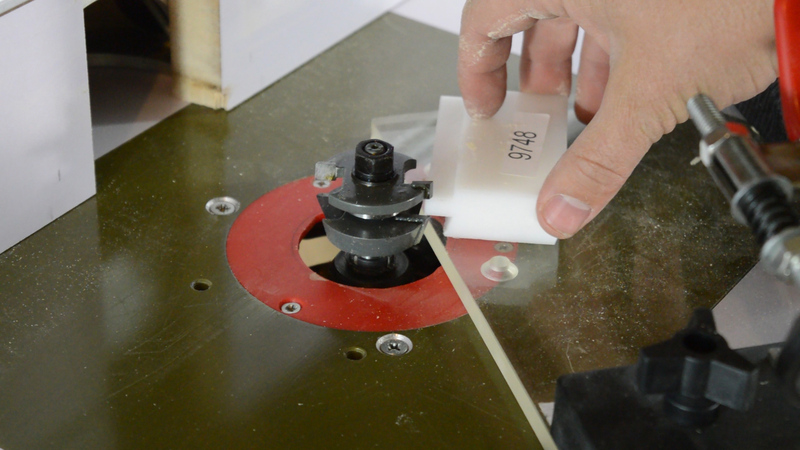 *Note: Alternatively, you can set the bit height so that the back cutter does not remove any material. Set the fence flush with the bit’s bearing and mark the fence location on the table. Pull the fence forward to make a shallow pass. *Note: This is a big bit, so you’ll need to make several light passes instead of hogging off all the material in one cut. 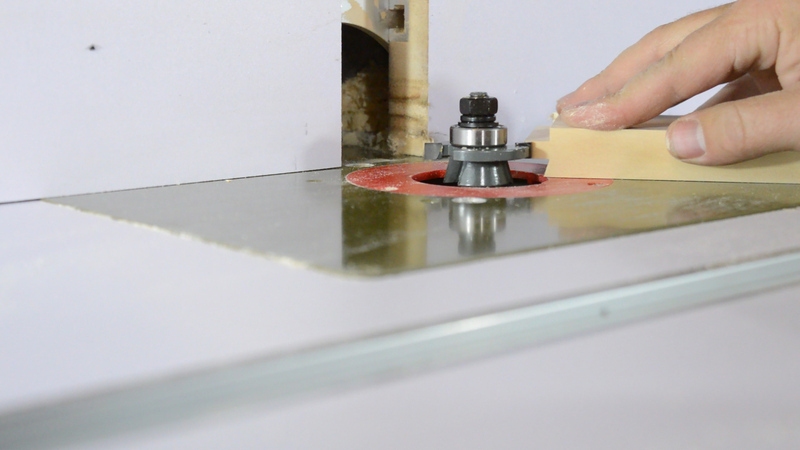 Install feather boards to keep the panel pressed flat against the router table. Route the panel, moving the fence back 1/8” – ¼” for each pass until you get to the pencil marks you made earlier. 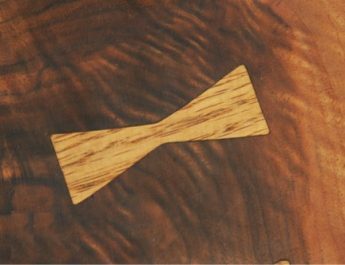 Cut the ends of the panel first, and then route with the grain. 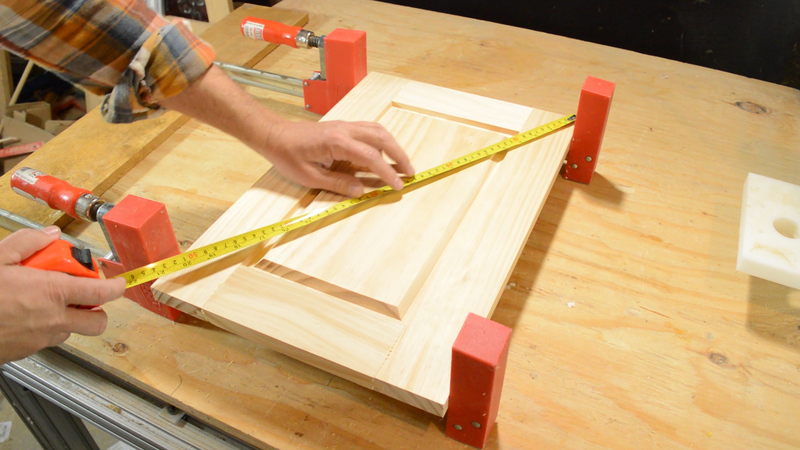 Assemble the door without glue to ensure the parts fit correctly. Then insert space balls in the groove of each stile and rail. *Note: The space balls will compress and keep the panel centered in the frame. They’ll also prevent the panel from rattling. 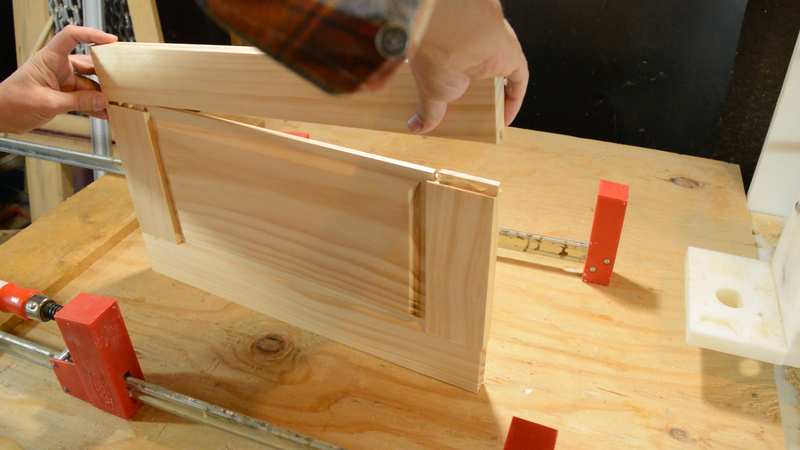 Apply a bead of glue to the ends of each rail and clamp the door. *Note: You may have to tap one of the rails with a mallet to get it flush with the stiles. 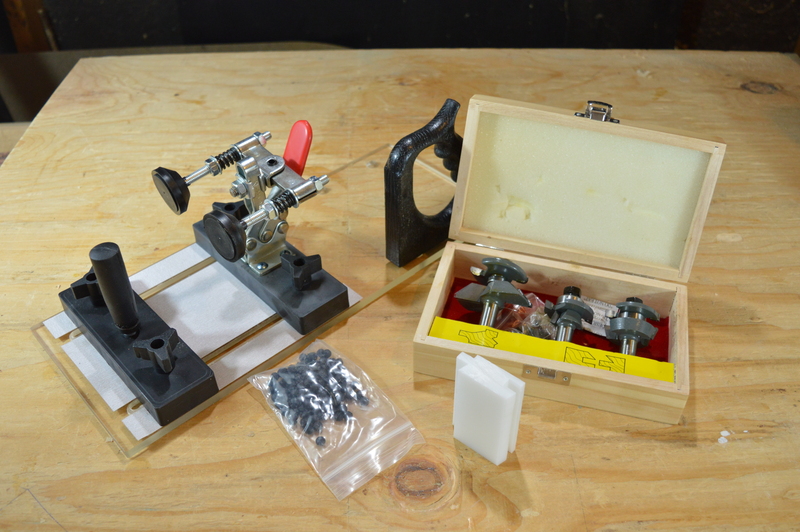 Lastly, check the door for square and allow the door to sit in the clamps until the glue is dry. 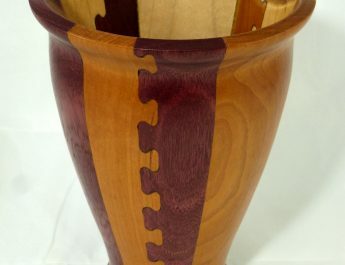 Prefer a watching a woodworker go through the steps of making raised panel doors?